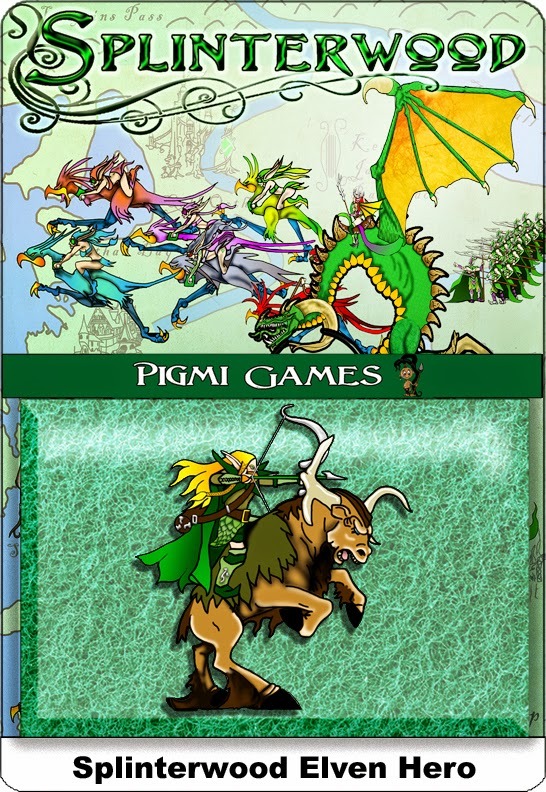 Pigmi Games presents a set of six hand-drawn, double-sided, 30mm scale original paper Jara Bird RACER miniatures. Also included is a bonus racing track and constructable dice. 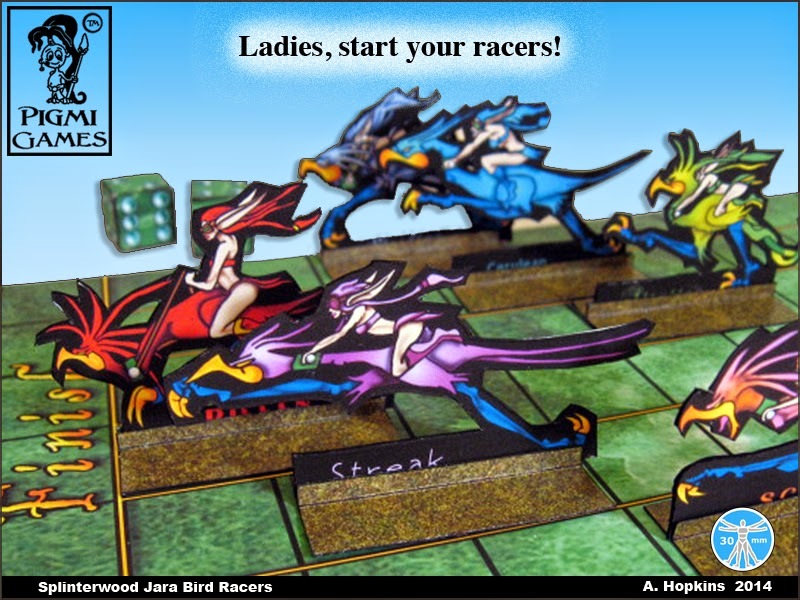 The Splinterwood elves love racing and nothing gets their blood pumping like a good Jara Jara bird race. It's very common for outsiders to get the Jara Jara confused with the common Jara bird though they are close cousins they are not the same bird. The Jara Jara bird is the fastest land animal on the continent and can run unburdened up to 75 MPH. So the riders of the Jara Jara have to have amazing reflexes and quick wits. The Female Jara Jara bird is a domestic creature and will never stray far from the nesting area. 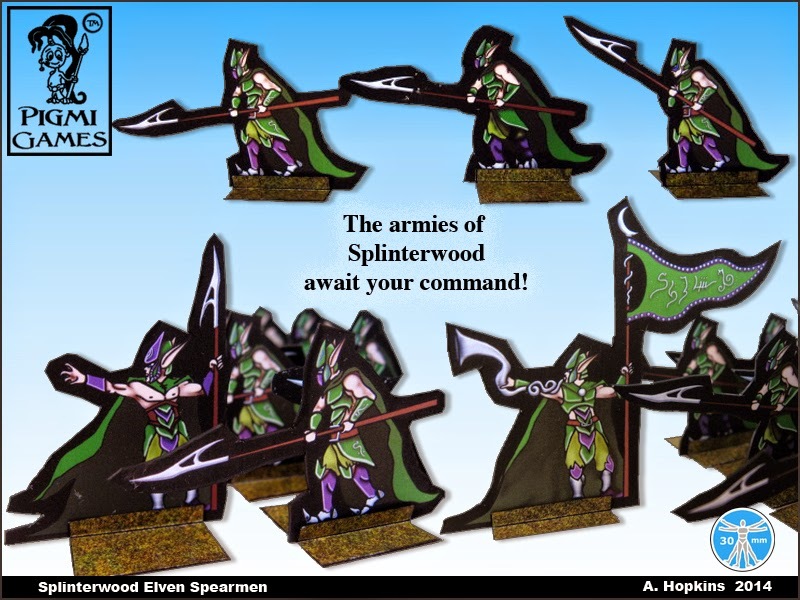 All racing birds are males which makes for an interesting time as they are completely territorial and will not stand the company of another male, this includes Splinterwood elves. This is why all the riders have to be females the Jara Jara birds will attack any male trying to ride them. 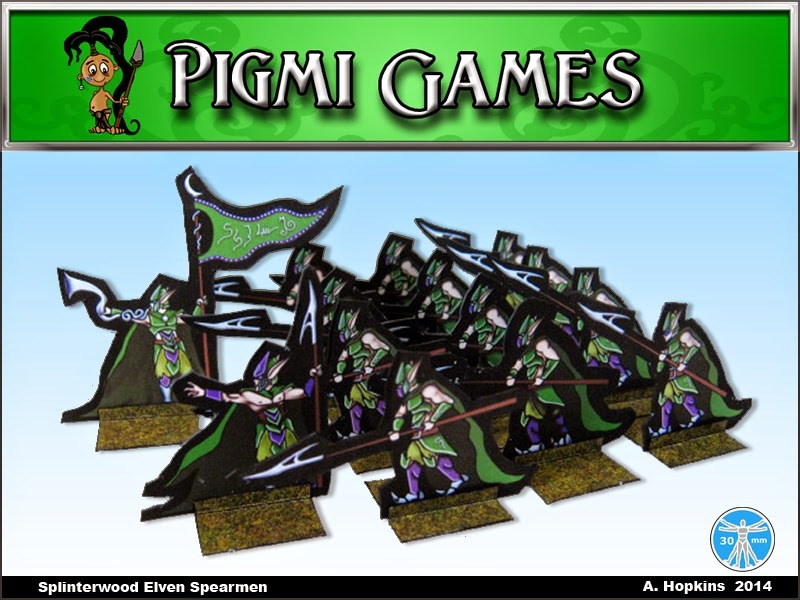 The only thing that the elves like better than watching the races is betting on them, and now you can to! Place all the racers on any number and roll the dice what ever number comes up then move that bird one space forward which ever bird crosses the finish line first is the winner. 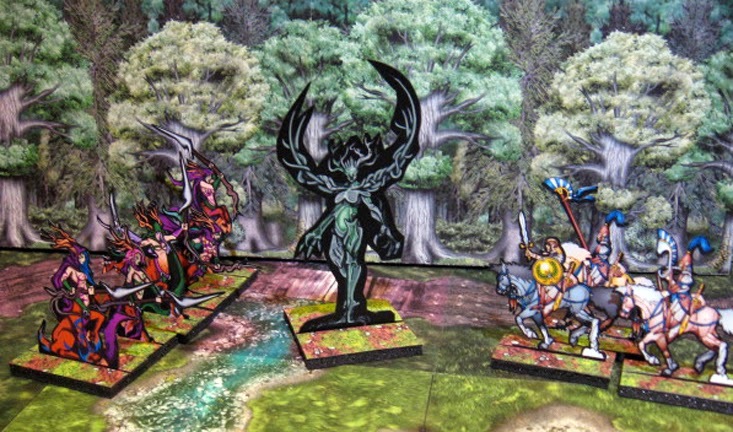 *Models by Pigmi Games and One Monk Miniatures, scenery by WorldWorks games.